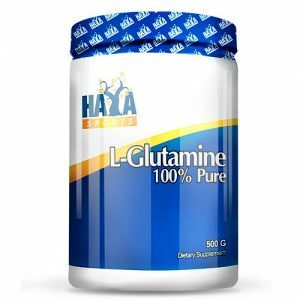 BCAAs (L-Leucine, L-Valine, L-Isoleucine), Thickener (Microcrystalline Cellulose), Bulking Agent(s) (Maltodextrin), Coating (Stabilizer (Hydroxypropyl Methylcellulose), Stabilizer (Polyvinylpyrrolidone), Color (Titanium Dioxide)), Thickener (Sodium Carboxymethylcellulose), Stabilizer (Polyvinylpyrrolidone), Anti-caking Agent (Magnesium Stearate), Anti-caking Agent (Silicon Dioxide), Riboflavin, Pyridoxine Hydrochloride. Recommended Daily Portion: Take 2 tablets before training and 4 tablets after training. Do not exceed the Recommended Daily Portion. This product should not replace a varied and balanced diet and a healthy lifestyle. Keep out of reach of children. Suitable for vegetarians. Keep tightly sealed in the original packaging in a cool, dry place and away from direct sunlight. MyVegies was founded to meet the needs of those who are typically disregarded by the sports nutrition industry: vegans and vegetarians. With these people in mind, as well as supporters of animal rights and environmentalists in general, our supplement line offers products that are absolutely guaranteed to be derived from non-animal sources, and produced through responsible environmental practices. Better for the planet, better for you. MyVegies Vegetarian BCAA features a scientifically tested formula which contains a 2:1:1 ratio of Leucine, Isoleucine and Valine, and is enriched with vitamins B6 and B2. 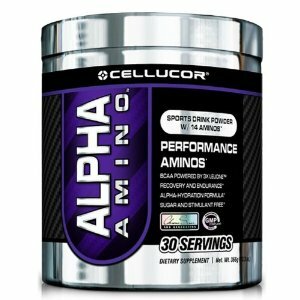 BCAAs – Why do they matter? 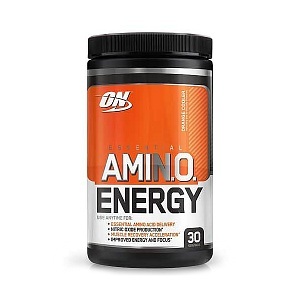 Branched Chain Amino Acids are considered to be essential as they cannot be synthesized by the body, being only obtained through food and/or supplements. 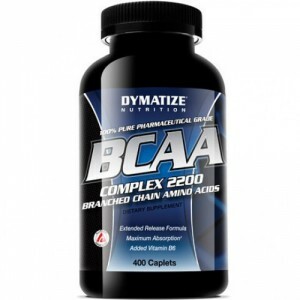 The BCAAs are composed of three amino acids: leucine, valine and isoleucine. They make up about 35-40% of the essential amino acids in the bodily amino acid pool, as well as 14% to 18% of the amino acids present in muscle tissue, hence their importance for athletes. MyVegies Vegetarian BCAA is exclusively derived from a vegetable source: maize. 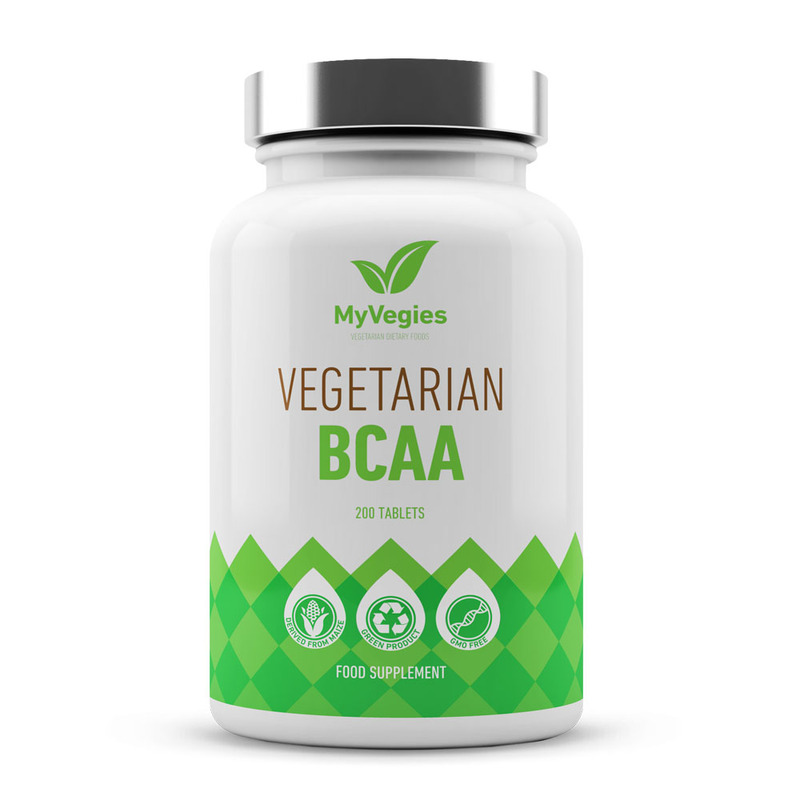 This particularity sets MyVegies Vegetarian BCAA apart from the competition. Actually, most BCAA formulas in the market have some or even all of their amino acidsderived from duck feathers and human hair, which makes it harder for vegan and vegetarian bodybuilders and other athletes to fulfill their demanding needs. MyVegies’ quality control department made sure that every single item produced meets the highest standards. Maize contains essential amino acids, including Isoleucine, Valine, and particularly Leucine. Therefore, this MyVegies product is the ideal choice for vegans and vegetarians. MyVegies Vegetarian BCAA is enriched with vitamins B2, also called riboflavin, as well as B6, or pyridoxine. These micronutrients are fundamental components that support your overall well-being. Vitamins B2 and B6 are B-complex vitamins. Being water-soluble, they are not stored in the body, so you need to replenish them more frequently. All B vitamins contribute to the energy-yielding metabolism, meaning they help the body convert food into fuel. They also contribute to the proper functioning of the nervous system. Vitamins B2 and B6 are especially important for athletes and other physically active people as they help reduce tiredness and fatigue.